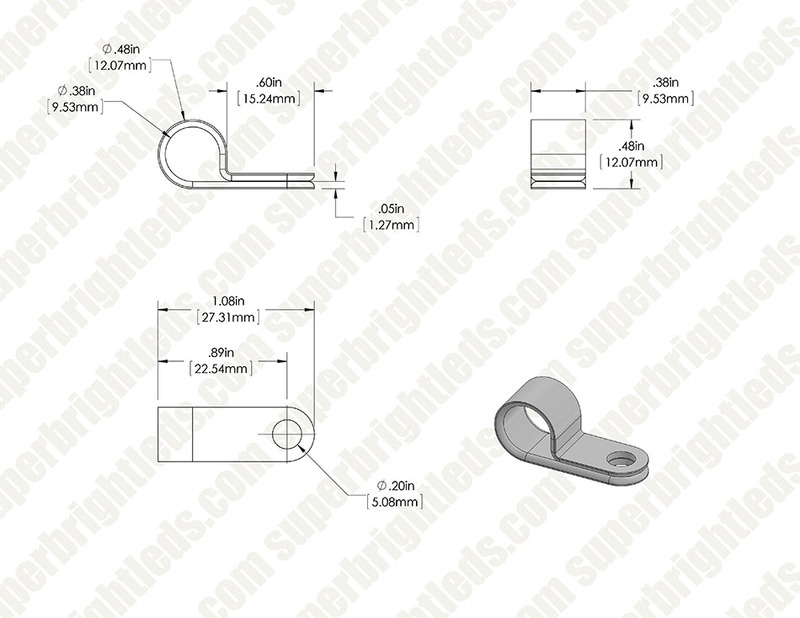 3/8" Cable Clamp - White Nylon - Size 10 Screw: Shown With Screw And Wires (Not Included). 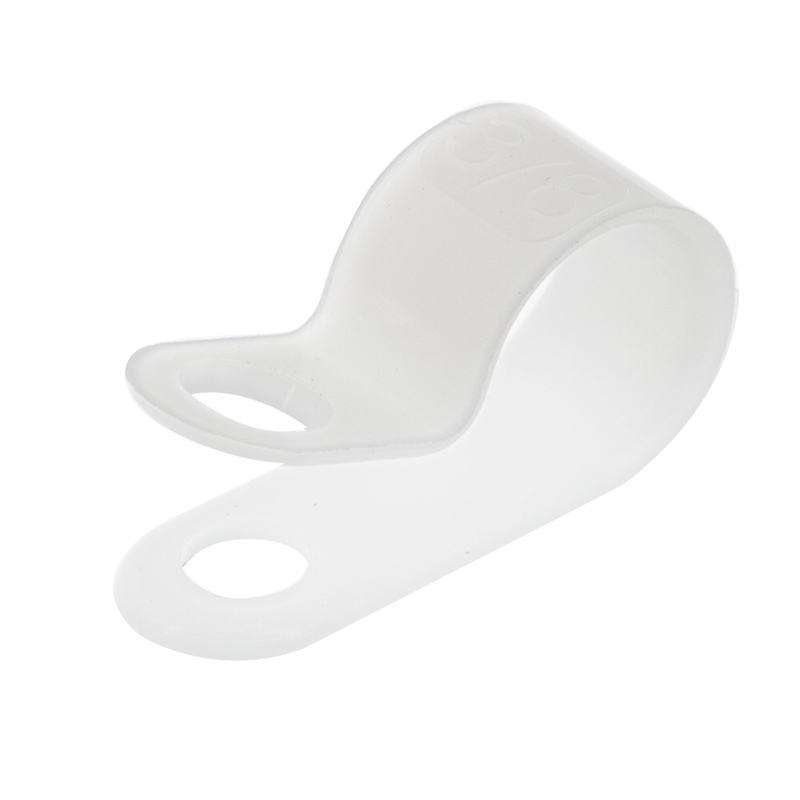 This white nylon cable clamp is perfect for securing anything from tube lights or light strips to wires or cables and can be mounted almost anywhere. 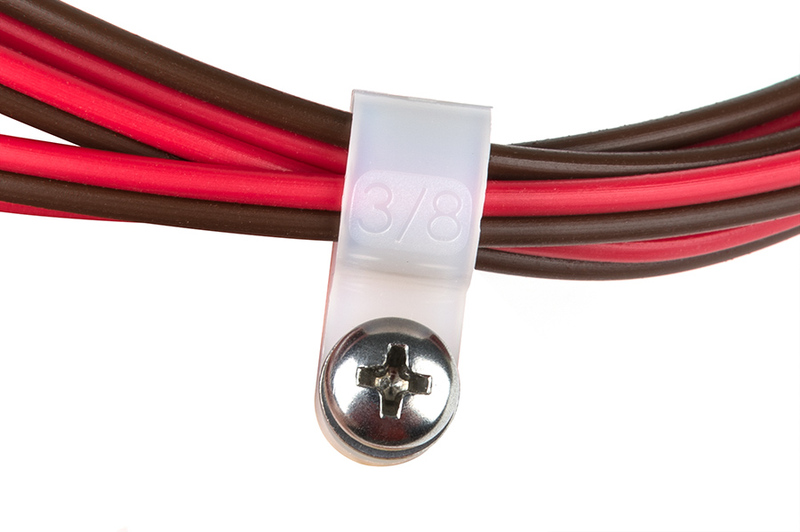 The 3/8" clamp is molded in the open position for easy cable insertion and features a beveled edge to guard against wire damage. Use in temperatures ranging from 40°F to 365°F.